The coast of Massachusetts is a special place. Lobster, lighthouses, leisure. There are lots of places you can explore up and down the edge of the Atlantic. 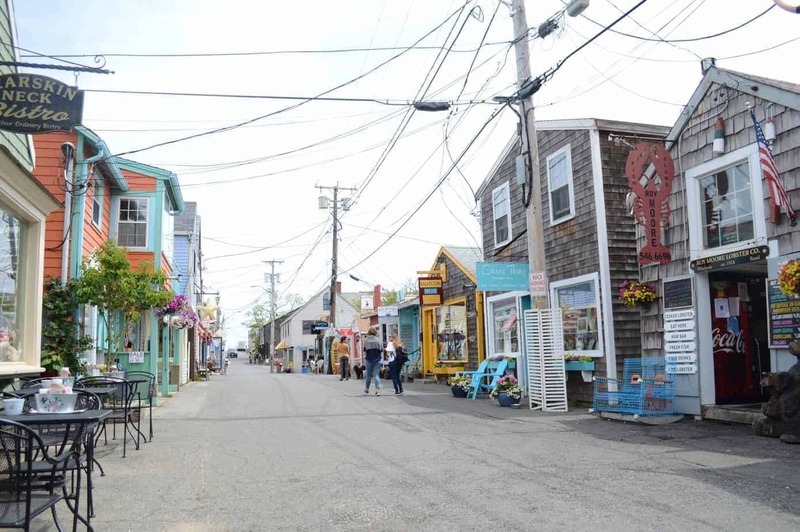 But if you’re looking for one of those truly iconic coastal spots that draws visitors from not just around the USA, but across the world, the town of Rockport MA is your answer. We were recently invited to come and visit this coastal gem, and we immediately agreed. Just 2 hours from our current home in New Hampshire (seriously, New England is soo driveable!) it was an easy journey to spend a weekend in Rockport, Massachusetts. And it’s a beautiful destination that is perfect for couples like us. 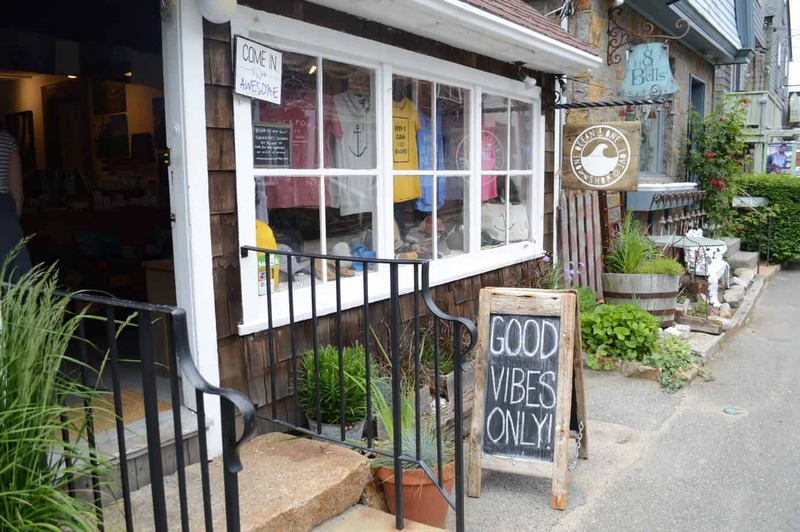 Though small, quaint, and relatively quiet, there are plenty of things to do in Rockport MA and the surrounding areas. 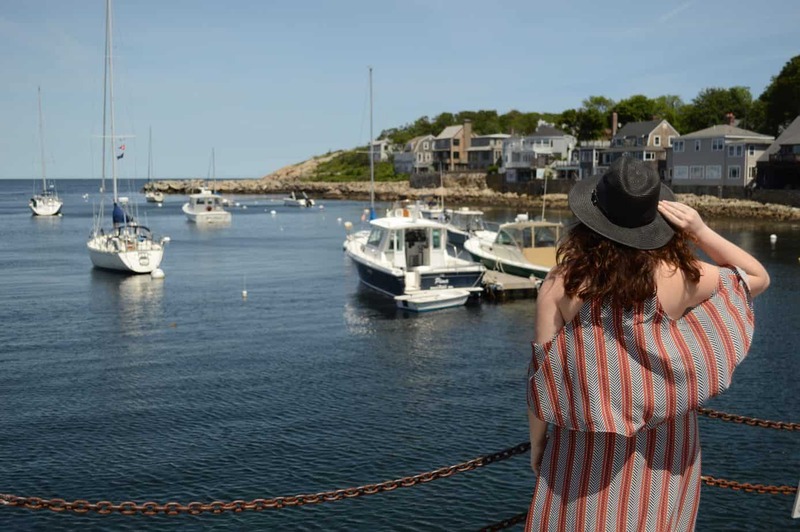 Read along for our Cape Ann travel guide, focusing on where to stay and what to do, see, and eat in the magical town of Rockport. You might be wondering just where Rockport is located. This town of about 7,000 is found just 40 miles north of Boston in its North Shore region. 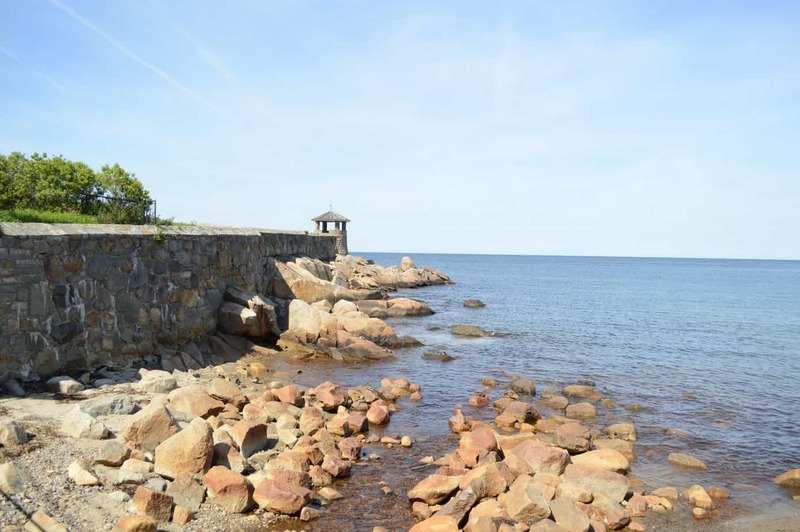 Rockport is situated on the tip of the Cape Ann peninsula, an area which is also home to famous seaside towns such as Gloucester and Manchester-by-the-Sea. In under an hour’s drive, you can get from Boston to Rockport MA. Alternately, you can take a commuter rail train from Boston to Rockport and arrive in 75 minutes. According to the schedule, trains depart approximately every hour from North Station. And of course, Boston is a major international airport, with hundreds of flights arriving daily. 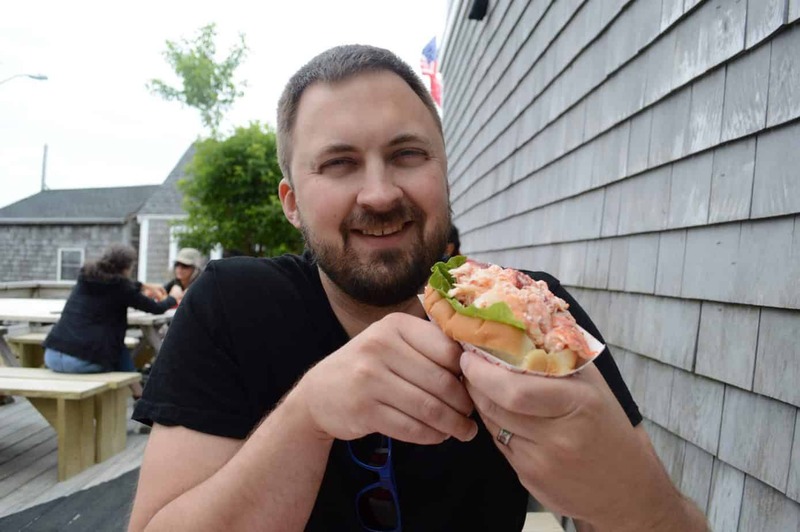 *For a nice overview of the whole New England region, check out Adam’s New England travel guide. 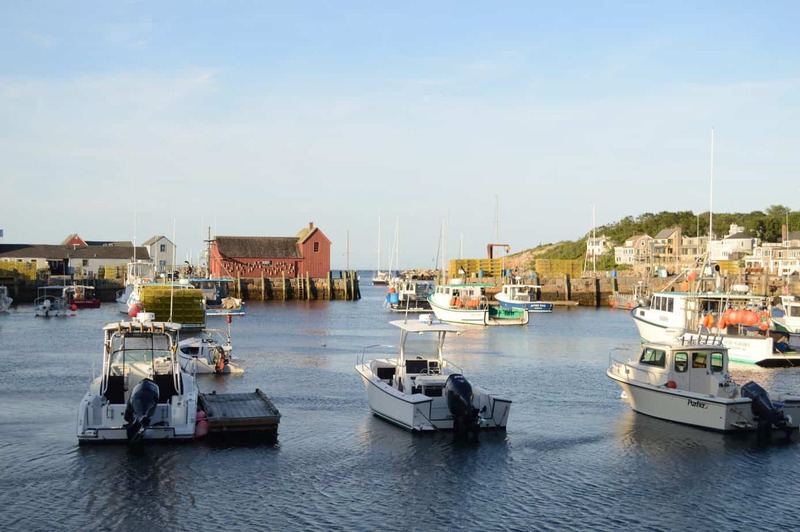 Rockport is an attractive destination at all times of the year, but is busiest and most active during the summertime. 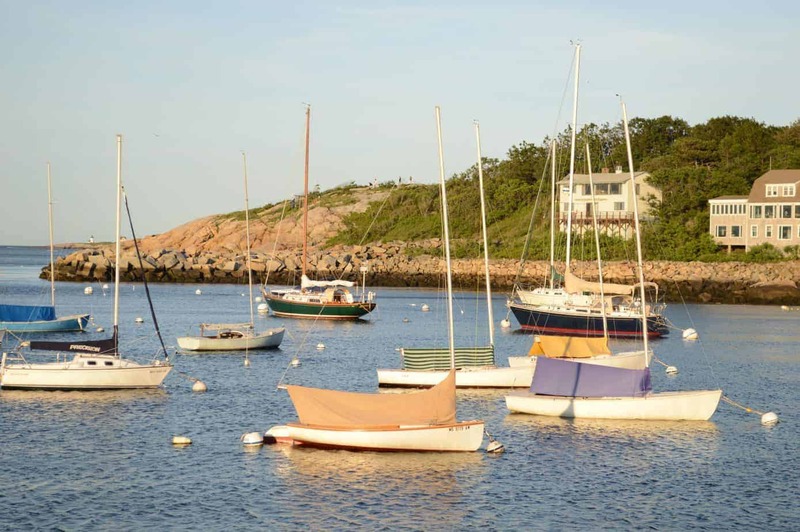 Coastal New England is synonymous with summer vacations, and Rockport is no exception. Expect some (small) crowds if you visit in the height of summer, and some challenges with parking. 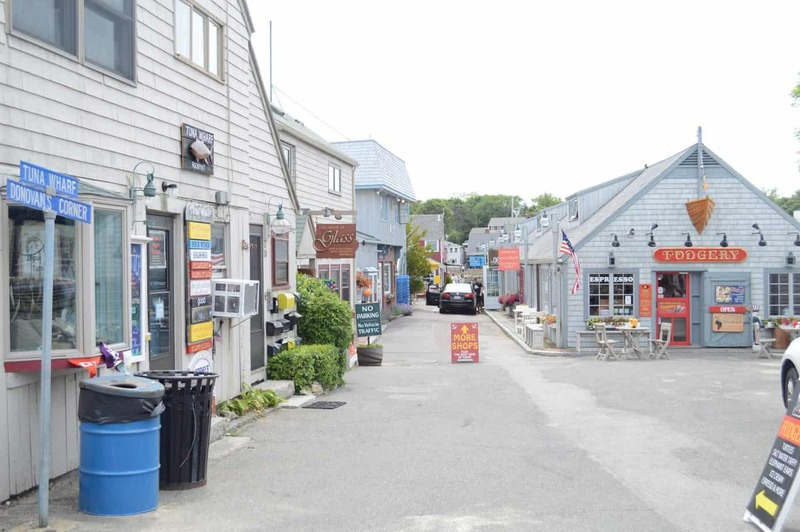 (This is a great reason to choose Rockport accommodation that is within walking distance to Bearskin Neck and the other main attractions of downtown). We visited on a Thursday and Friday, which turned out to be an ideal time to come. There was a noticeable influx of people on the Friday, and it’s easy to imagine that this is a popular spot for people to pop over for the weekend. And with its modest size and centralized location, spending a few days in Rockport allows you to see most everything it has to offer. And just what are those Rockport Mass things to do, you may ask? Hop to the next section for your inspiration! Now for the fun part! 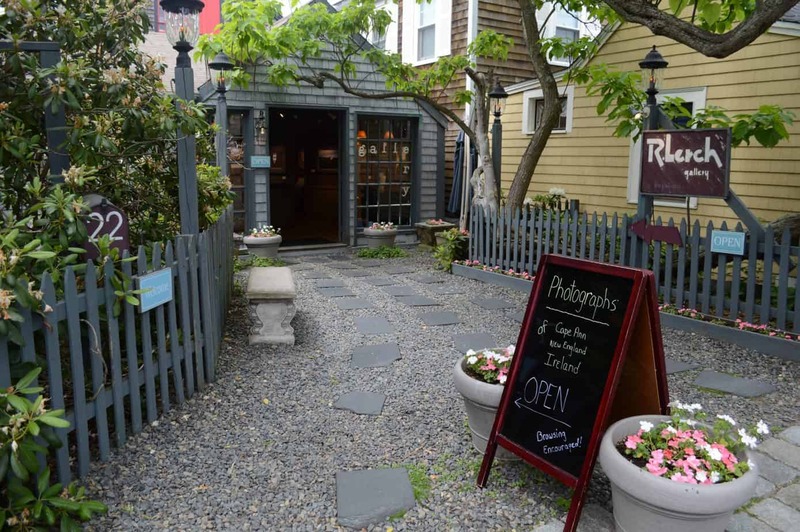 – What to do in Rockport MA. Here you’ll find shopping, sightseeing, art, dining, and outdoor activities. 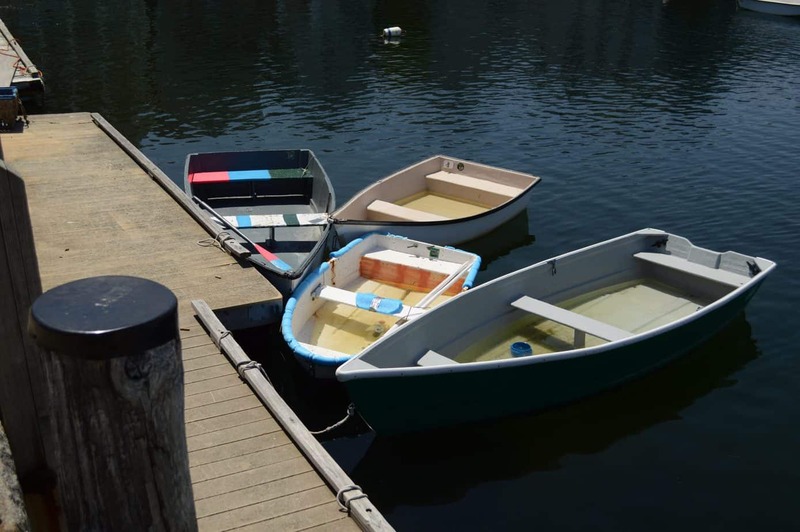 There’s enough to keep you happily busy in Rockport itself, but you can easily visit Gloucester, too, to make the most of your Cape Ann visit. 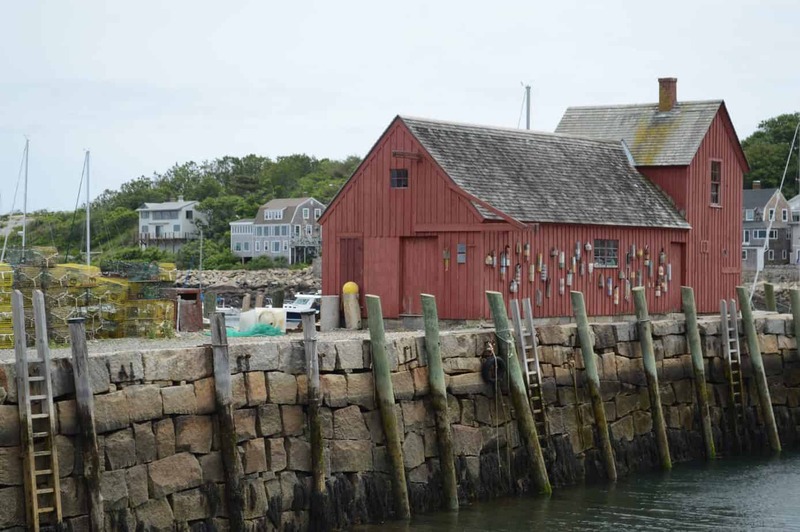 Perhaps the most famous site in Rockport is the classic red fishing shack known as Motif Number 1. The shack is actually a replica of the original structure, which unfortunately was destroyed in a 1978 blizzard (crazy New England weather!). The replica was constructed that very same year. The unusual name of the red building is believed to have been coined by an early artist, who noted that it was many local artists’ favorite subject for painting and drawing. It seems to be true! 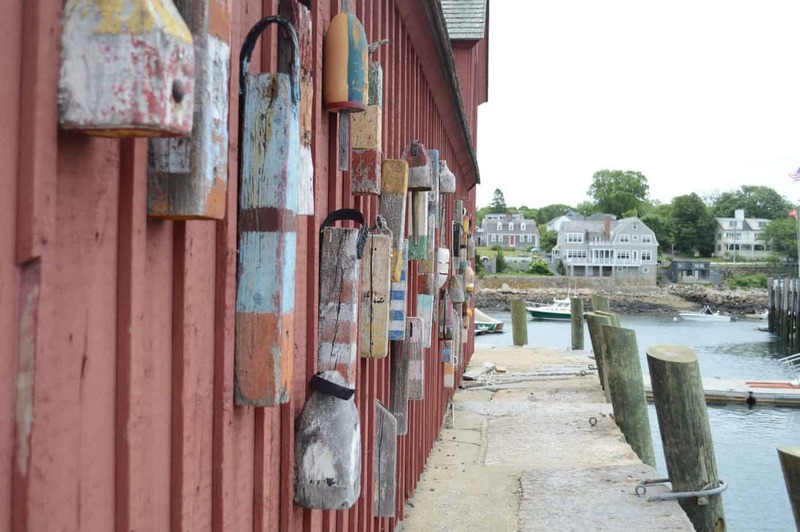 Rockport is still well known as an artist colony, and the many galleries dotted throughout town sport an abundance of maritime-inspired art, many of which display Motif Number 1 prominently. You can see the shack from many spots overlooking the harbor, or you can walk out closer to it, as we did, by exploring the alleys off of Bearskin Neck. As you can imagine, we took lots of photos! 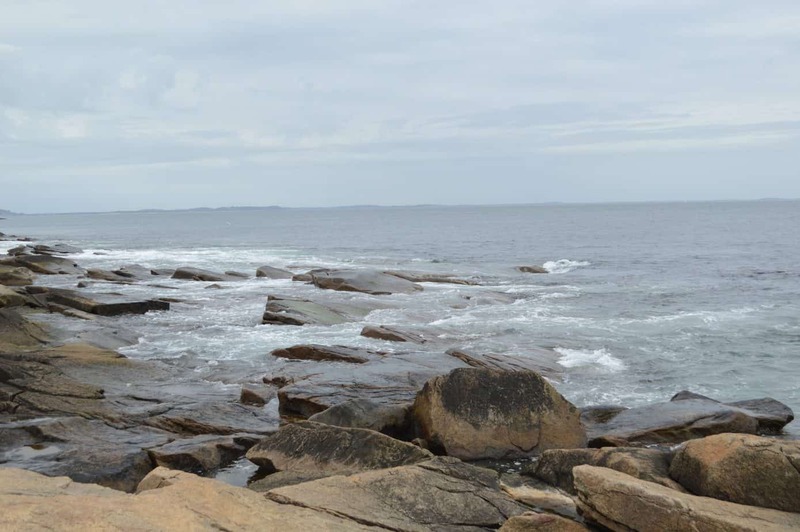 Drive about 7 minutes from the center of Rockport and you’ll find yourself nearing Halibut Point State Park. This is a serene and scenic conservation area with walking trails to be explored. On your way out to the rocky edge where the sea splashes against the coast, you wind your way through scrubby seaside plant life and past the quarry, from which much of the local granite was derived. You’ll start to see the ocean as you walk, and it’s a beautiful vista. 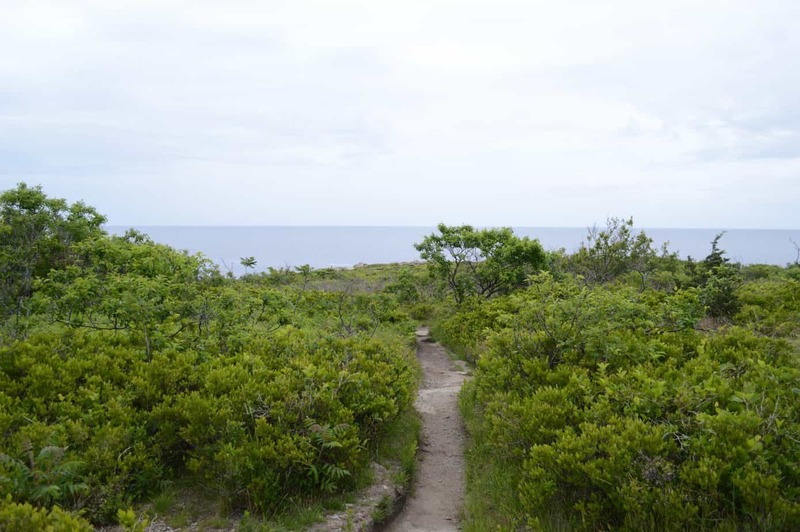 We love to hike, and Halibut Point provided an opportunity to get out in nature on a short walk through the park. Dogs are allowed here (on leash only) and there is a per-car parking fee ($6 for non-MA residents, $5 for MA residents). New England’s coast is often viewed as a rocky place with a focus on seafaring and fishing. While this is the case, there are some fine beaches spreading from north to south. You can find a few different beaches in Rockport to help you get your swimming and sunbathing fix. The closest beach is Front Beach, within walking distance of downtown Rockport. This is a small beach, though there is plenty of room to sit on shore and enjoy the sun. Front Beach is also a nice swimming spot, with very calm waters. It is bordered on the far end by a rocky wall. For a more expansive beach, head to Long Beach, which sits on the border of both Rockport and Gloucester. This is a lengthy stretch of flat, sandy beach, and it is a very pleasant place to enjoy a warm summer’s day. Parking is limited, so it is recommended to arrive early. A third choice for beaches in Rockport MA is Pebble Beach. As its name suggests it is fairly rocky, and soft, sandy spots are minimal. Nevertheless, it makes for a lovely place to take in the scenery. More info on Cape Ann’s beaches. Shopping is without a doubt one of the best things to do in Rockport. There are a wide variety of shops that are eclectic, unique, and often locally-owned. 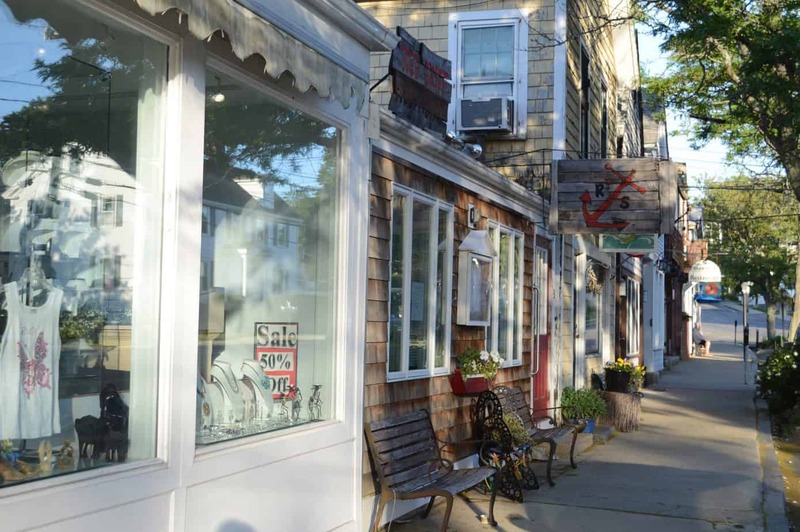 Shop casual wear at The Black Dog, select fine leather goods at Bearskin Neck Leathers, and peruse titles at Toad Hall Bookshop. Traveling with your canine friend? Stop into The Good Dog Gallery and grab treats, art, and memorabilia celebrating your favorite breed. Of course coastal gifts and crafts line the shelves of nearly every store. If you want something to show your Rockport pride, or just want an item to showcase your love of the sea, you’ll definitely find it when shopping in Rockport. 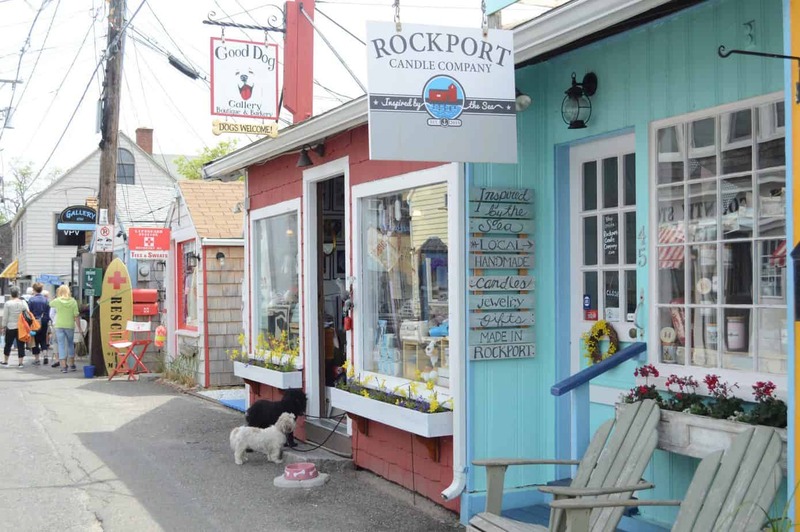 Many of the Rockport stores listed above are located on Bearskin Neck, the coolest place in Rockport. Bearskin Neck is the very tip of the peninsula that stretches out and over surrounding the harbor. Today, it’s lined with quaint shops, art galleries, and restaurants (plus an unusual number of ice cream shops) and it’s a super fun place to walk or to sit and people watch. We strolled down Bearskin Neck several times during our visit to Rockport, and it was a different atmosphere each time. Mornings are calm and quiet as the shops are just opening up. By mid-day, the streets are busy with happy shoppers and hungry lunchers. 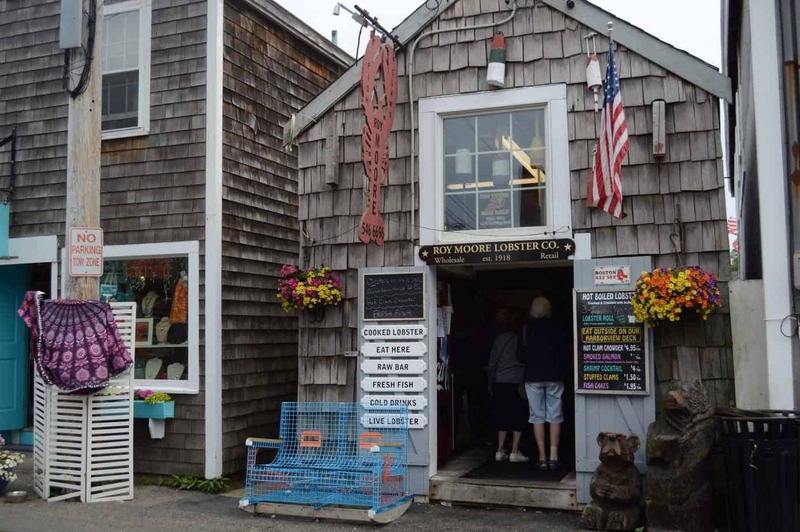 You can’t miss the buzz surrounding the Roy Moore Lobster Co, the most popular spot to eat lobstah’ in Rockport. More on this great spot to eat below. Evenings on Bearskin Neck are breezy and cool (we suggest packing a sweater, that ocean breeze can be biting!). We also saw lots of families walking their dogs and enjoying ice cream as they watched the sunset over the water. 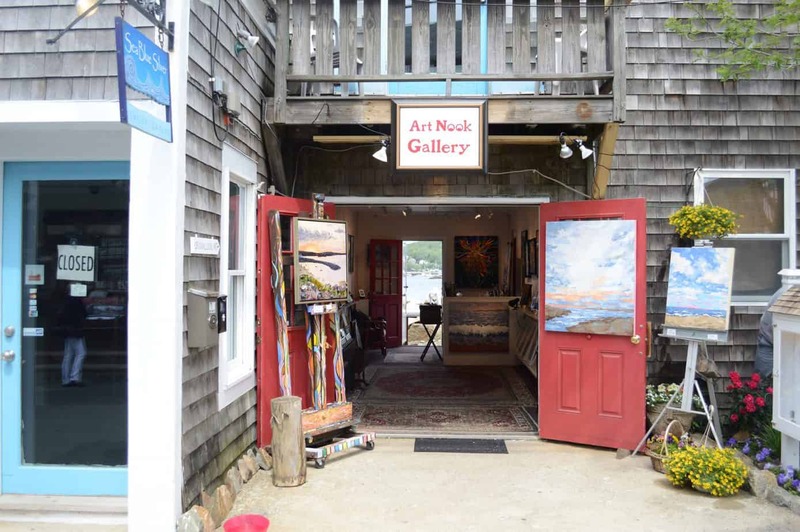 In addition to the many Bearskin Neck shops and eateries, there are numerous art galleries beckoning you to visit. Our favorite had to be Earth’s Treasures, which had very unique items including some fantasy-inspired art, which both of us fell in love with. We decided to buy a piece for our house, and as we checked out, discovered it was the artist herself at the register. Very cool to meet the artist in person and to support the continued creativity in Rockport. If you’re interested in whimsical, soft fantasy styled paintings, check out Amelia Leonards’ Etsy shop. Know a friend with a boat? That’s the ticket! But if you’re like most of us, you probably don’t have any yacht-owning friends. There are a few ways to get out to sea in Rockport. One option is Loblolly Seal Cruises, which take you on the water to see the local seal population. Another option is to join a whale watch. Whale watching is a New England coast must-do. Unfortunately, no whale watches leave from Rockport directly, but you can take one from Gloucester, less than a 10 minute drive to the south. A few years ago Amy & her family enjoyed an excursion with 7 Seas Whale Watch, which was a great experience. Spotting the humpbacks is indescribable. You can read about her whale watching experience here. 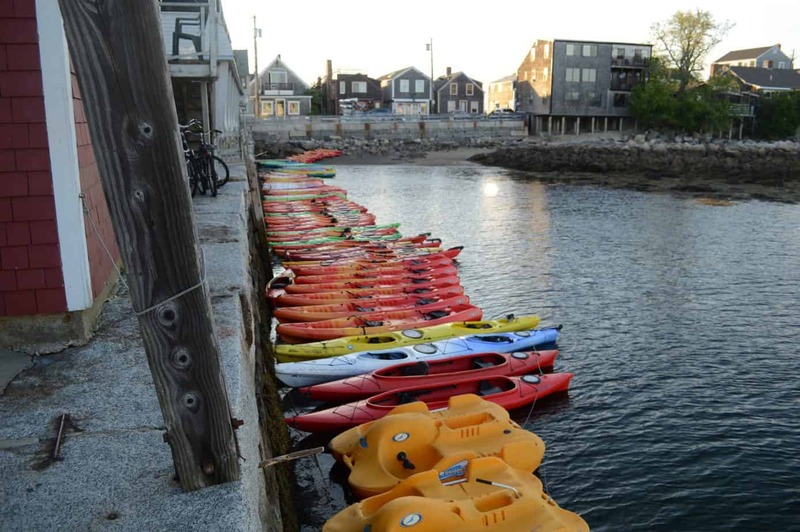 While you’re down south, take in a few of the other things to do in Gloucester MA. 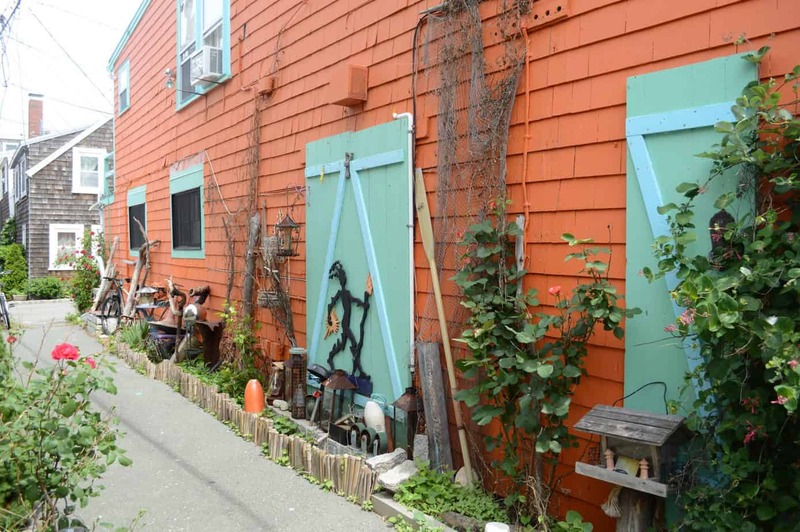 This fishing village has a very different vibe than Rockport, and is well worth a stop on your travels in Cape Ann. 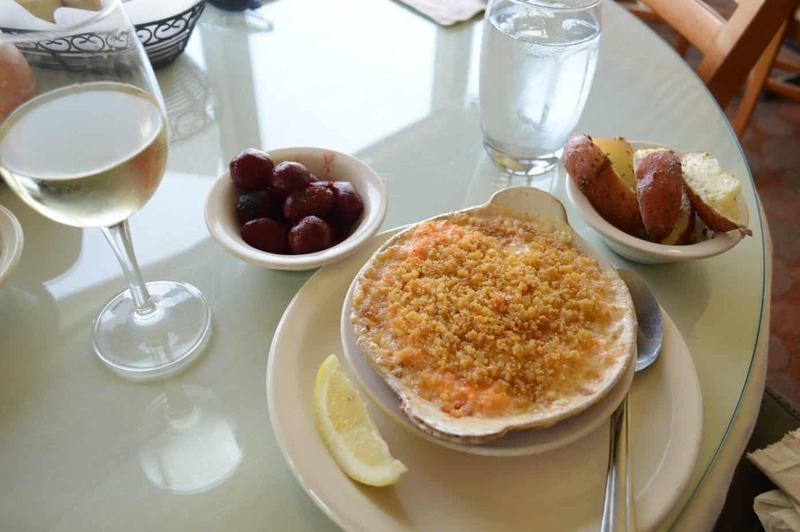 As you explore all there is to see in Rockport MA, you’re bound to work up an appetite. Plus, with the smell of cooking seafood all around, you can’t help but be hungry. 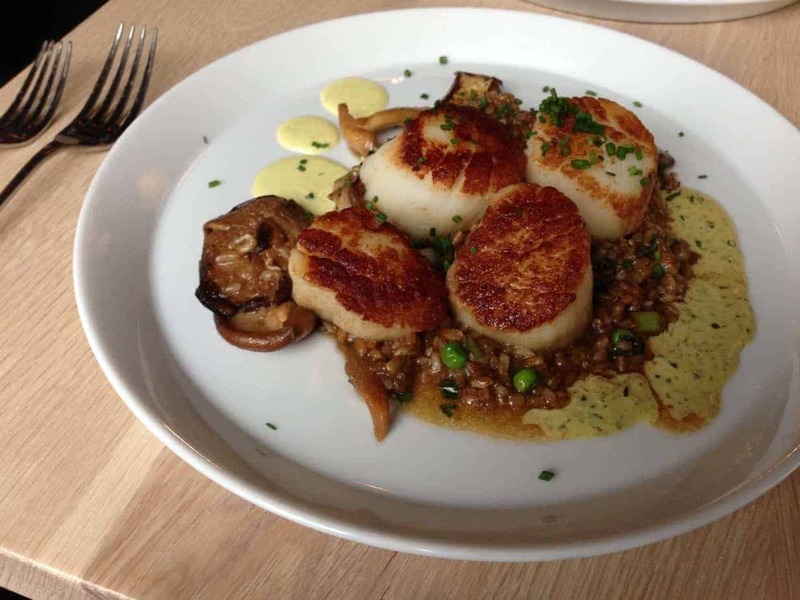 While we didn’t have to chance to try all the restaurants in Rockport, we’re fairly confident we found some of the best restaurants in Rockport MA. Our first day we enjoyed a late lunch at Brackett’s Oceanview Restaurant. This is a really classic spot with a wide dining room that looks out over the ocean. The view is fantastic, and we enjoyed our crisp white wine as we watched the gulls soar past. We were absolutely starving when we arrived, and the server gave us a generous plate of hot rolls and corn bread. We each chose a signature seafood dish for our meals: Amy had fish cakes and Nathan had the crab casserole. Both of these were awesome. The fish cakes were crunchy and flavorful, and paired with a delectable Old Bay sauce. Nathan’s crab casserole was perfectly baked and cheesy. With the sweet crab meat it was rich and memorable. Such an excellent dish! Not only did Brackett’s have an awesome view and really delicious food, it also has an exceptionally friendly staff and welcoming owners. We felt right at home there, and decided to stop back the next morning for some coffee and their famous donuts. Brother’s Brew Coffee Shop is right next door/attached to Brackett’s and is owned by members of the same family. You’ll definitely leave with a full belly and a smiling face! When it comes to places to eat in Rockport MA, Roy Moore is a staple. 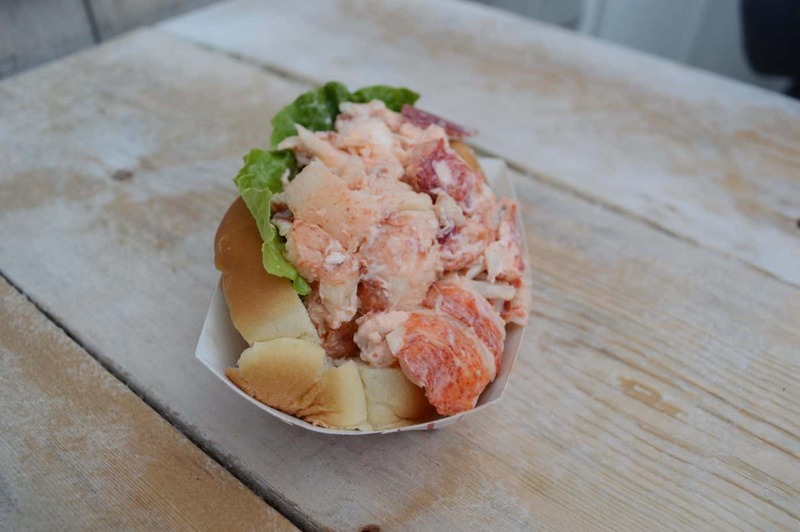 The fish shack at the bottom of Bearskin Neck is a sister restaurant, but the Roy Moore Lobster Co. further down the neck is the original, and the real deal. This place is kind of a madhouse, meant in the best way possible. A tiny building is filled to the brim with live lobsters, seafood on the grill, and the happy, loud banter of the staff. The vibe in there is so cool and the guys who work there clearly love their job and love serving guests. Once you make your choice and order, you can head out to the breezy back deck. Your food will be out in a snap and you can laugh along with other guests as you crack your lobster and gulp your chowder. We didn’t opt for the full boiled lobster, (though we hear it’s the best lobster in Rockport MA!) but instead enjoyed a cold lobster roll, a New England essential. It was tender and tasty, and was great paired with a bowl of Clam Chowder (another regional favorite) and a crispy fish cake. 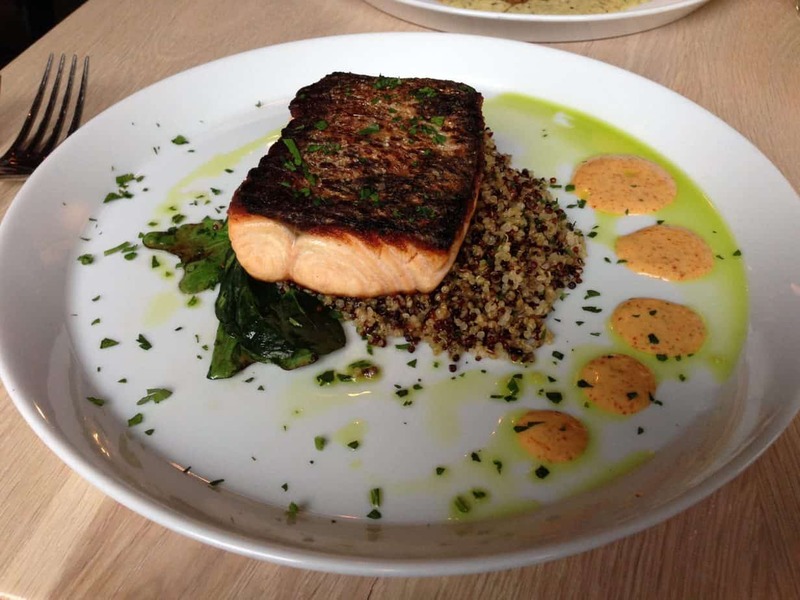 The food was really excellent—simple and no frills, the way that kind of seafood should be. But it’s the atmosphere that really make Roy Moore a must-visit. Feather & Wedge is one of the newest restaurants Rockport MA has to offer. It has a more modern, urban vibe than some of the other Rockport restaurants and this makes it stand out. This upscale dining spot has a menu which changes frequently, which adds to the excitement of the place–you never know what will be on offer. That said, if you choose to eat here, we enjoyed the sea scallops and the salmon. Both were exceptional, but the sea scallops had an Asian flair that made them utterly amazing. Would highly recommend! PS: Make sure to get a reservation, especially on weekend nights. They’ve also got an impressive cocktail menu you should be sure to sample. In fact, did you know that until 2005, alcohol was not allowed in Rockport? It’s all due to the actions of Hannah Jumper and a group of women in the 1800s who completed a “rum raid” to rid the town of the scourge of hard liquor. Rockport was a dry town until just over 10 years ago when it was voted that alcohol could be served in local restaurants. So take advantage and order up a martini! Hopefully we can return to Rockport and Cape Ann in the near future to sample even more of the delights. There were a few restaurants we didn’t have time to try, but wanted to, including Studio Crepe, Top Dog, and My Place by the Sea. Comfortable accommodation ensures your travels are their best. Fortunately, there are plenty of Rockport MA hotels to fit the bill. We stayed in two lodgings on our trip, and enjoyed both very much. 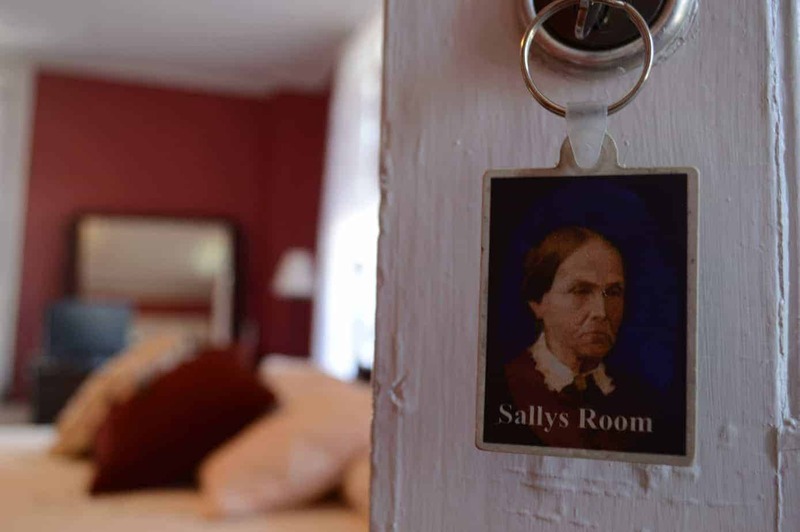 Our first night we stayed in a Rockport MA bed and breakfast called The Sally Webster Inn. 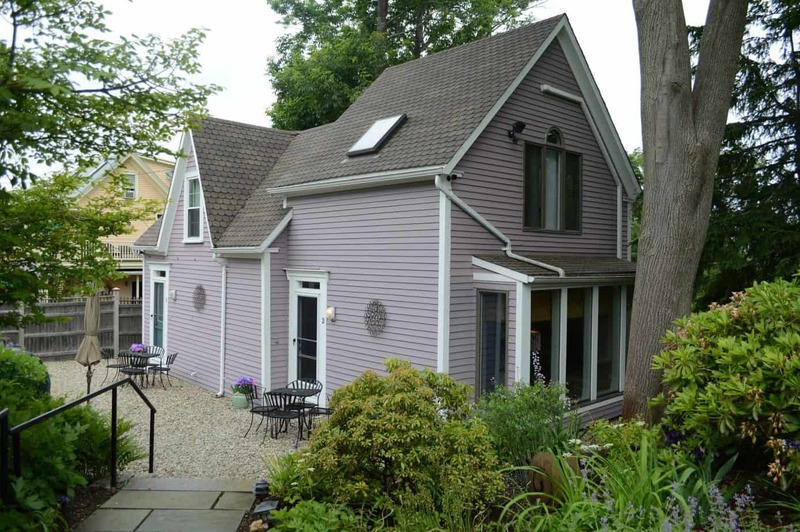 This cozy B&B is an easy walk downtown, which makes it a choice spot. You won’t have to battle for parking on busy summer evenings! Host Sawsan made sure we had everything we needed, and served us a perfect breakfast in the morning. We chatted with the other guests over pastries and steaming cups of tea. Not surprisingly, the other guests were all from states far away. Rockport really does draw guests from across the globe. We stayed downstairs in “Sally’s Room.” (She wasn’t much of a smiler, was she?) It was spacious and the bed was massive and sooo comfortable. Really amazing sheets too; we kept remarking upon the thread count! This room would be extra sweet in the winter time as there’s a stove in the fireplace area. 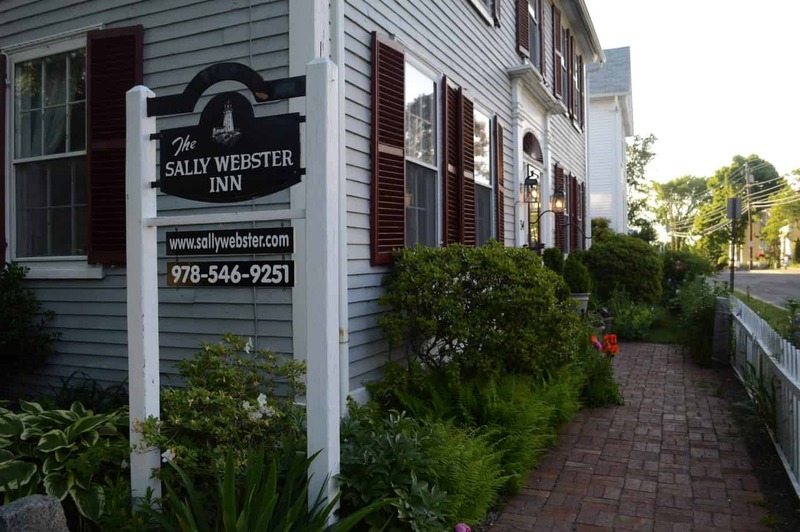 For Rockport MA lodging in a convenient location, we’d absolutely recommend The Sally Webster Inn, especially for a romantic weekend getaway. The second night, we stayed not at one of the many hotels in Rockport, but instead in a vacation rental. As fans of AirBnbs and similar properties, this was a good opportunity to check out a different type of Rockport accommodation. And it was very nice!
. If vacationing with family, you could also rent out Unit #1 (right next door) to have the run of the whole house. 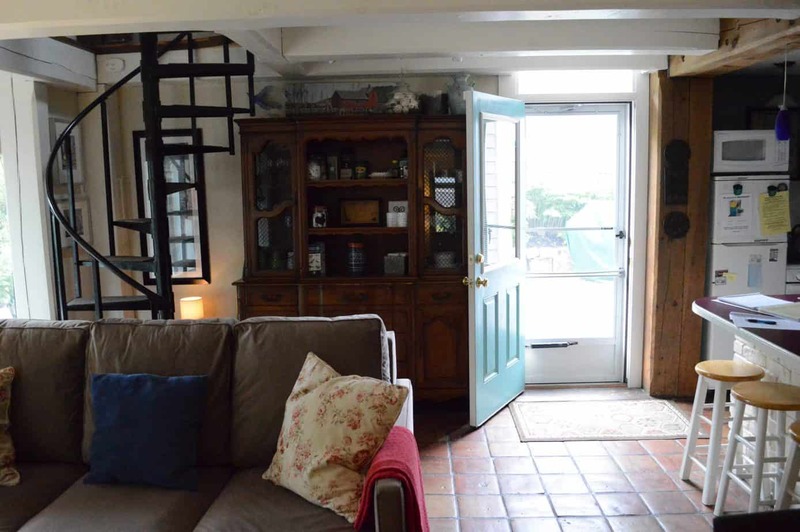 The property is super cute, with spots to lounge outdoors. Got stuck with a rainy day? Board games and books line the shelves to keep you entertained. And if you’re still looking for things to do near Rockport MA, there are lots of brochures hanging around in the cottage to give you inspiration. 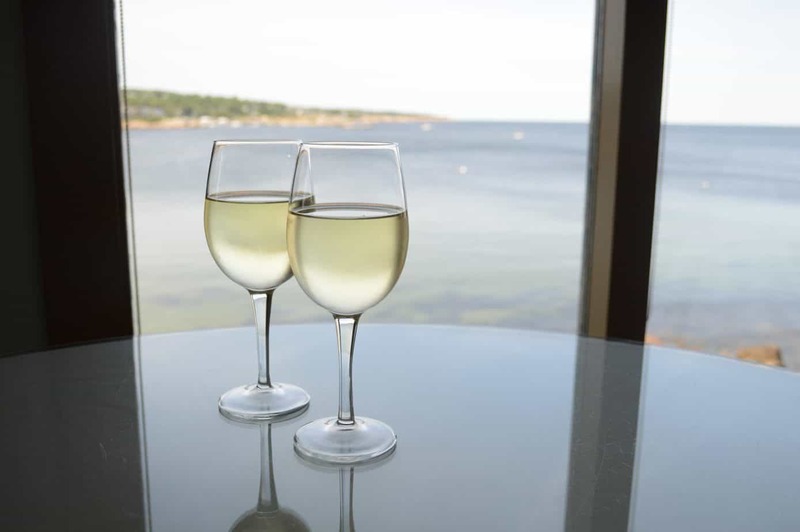 These two choices are aces for Rockport Mass hotels, but there are numerous others in the vicinity to choose from as well. We recommend using Hotels.com in your search. Ready to Go to Rockport? Now that you’ve been primed on what to see in Rockport MA, we hope you’ll book your trip! It’s a seriously lovely place, especially for couples in their 30s and older. It’s not much of a “party town”, so those seeking out a wilder nightlife won’t find it here. Though of course, Boston is just 40 miles away if you need an urban fix. But for those looking for a peaceful, classic New England seaside village, Rockport is everything you could want. 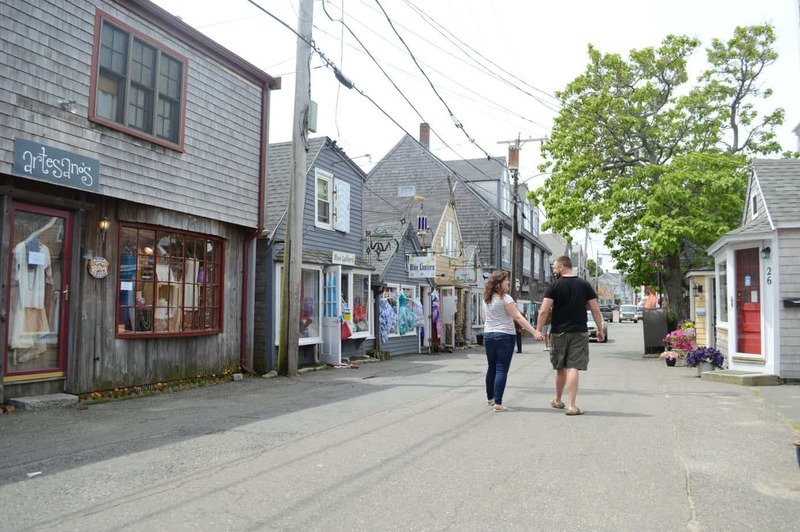 Endlessly romantic, artistic, and unique, Rockport is a wonderful place we plan to visit many times over the years. We visited Rockport as guests of Rockport MA. As always, all opinions are our own and reflect our true experiences. Planning your trip? Pin these for later!